With a total of 11 winning products, a pair of them in the "Top 10", A. Sampaio is the Portuguese company with the biggest presence in the choices made by the jury of the ISPO Textrends competition. Our products are part of 22 proposals submitted by five Portuguese companies, in a context of more than half a thousand products submitted to the Juri. Our inovative and sustainable products will once again shine at the ISPO Textrends Forum, the largest sporting goods fair in Munich, from February 3 to 6. 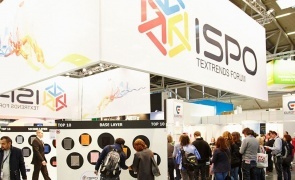 In 2018 A. Sampaio had nine winning products at ISPO Textrends competition, two of which in the category "Best Product".